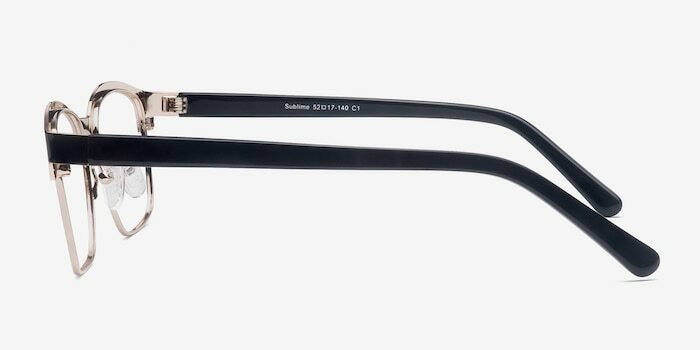 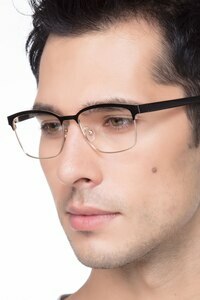 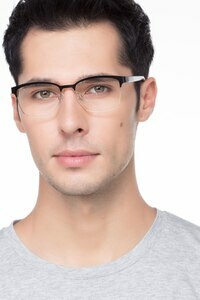 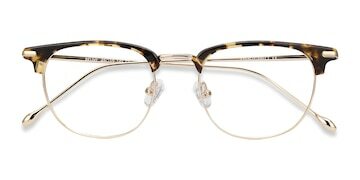 These black and golden eyeglasses are unquestionably sublime. 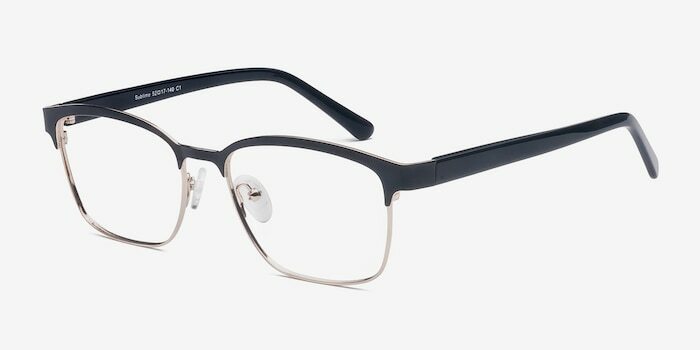 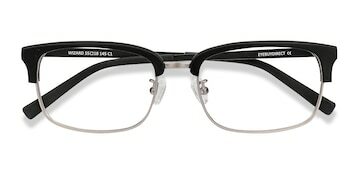 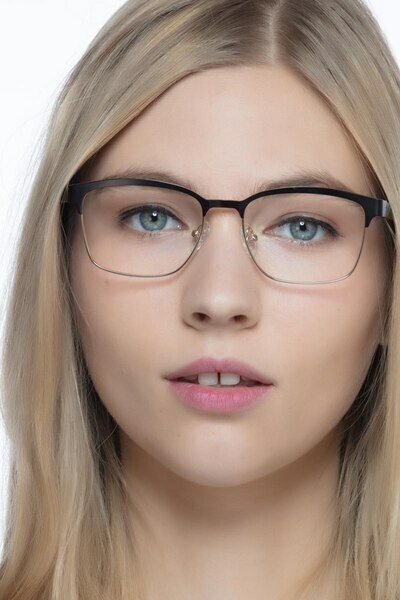 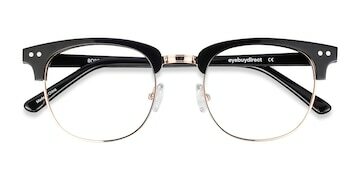 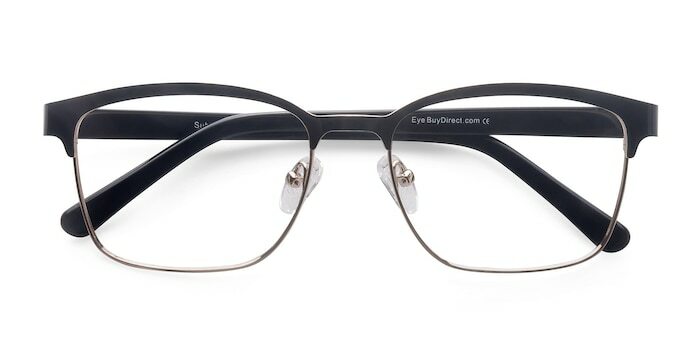 This exalted frame features an emphasized brownline in a matte black metallic finish mounting rectangular shaped lenses encased in a gold border. 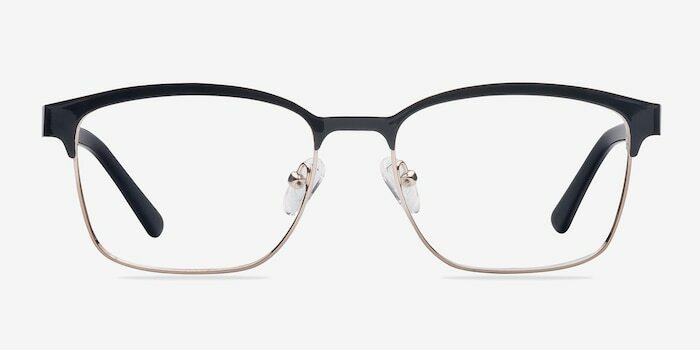 The temples are slick black acetate, while the adjustable nose pads allow for a custom fit for both men and women.